A new and clear approach to the philosophy and practice of magic for the 21st century. From Britain's leading expert on faery lore and magic, this book explores the living power of the Faery tradition for the 21st Century. 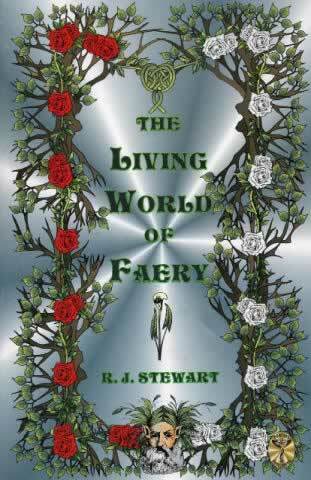 Revealing the faery tradition as an aspect of planetary consciousness, an enduring land-based resource, R. J. Stewart describes second sight, distance contact and powerful encounters with faery allies and co-walkers. He offers contemporary techniques for enhancing awareness and subtle energies through faery consciousness. Other themes include the relationship between faery tradition and the modern alien / UFO mythos, and between faeries and angels in spiritual traditions. A unique feature of this book is a series of extracts from a previously unpublished 18th century Journal, describing initiations into the faery tradition and the mysterious experiences of the writer in Britain and America, between 1745-69. Here is one such extract: "There are many classes or orders of the People of Light, with their own habits, lives, structures of tribe family and the like. Some are well known to mortal men and women, others lire invisible and hidden away, yet they will emerge at certain times or if bidden appropriately..." Yet there is a more secret art by which the hidden orders are found and this shall be the core, the Pearl, of my account. This art I learned at first $4n confused then clear dreams, as did the prophets and sibyls of old, but also from an aged woman cottager in Devonshire, and some Irish-Scottish seers in Virginia in the Colonies. Thereafter it is given to converse and learn direct with the People in their own manner, according to their realm or element and hive or tribe... By this deep art one may reach through pools, enter hills and trees, meld with stones, and come at last to the halls of the People of Light, who are within the^ body of the Land. And they may also come to you, for the threshold once" opened may be crossed in either direction. You may see with their eyes and they likewise shall see with yours for mutual learning."